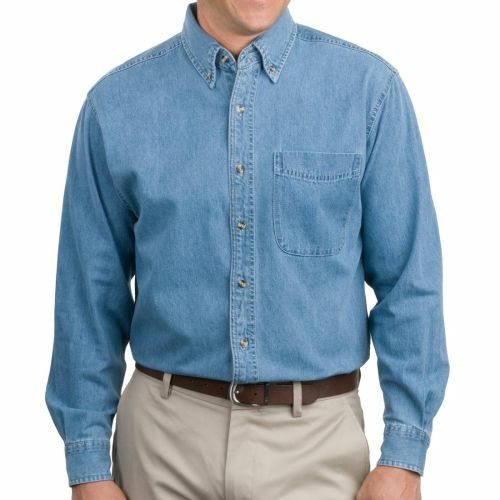 This classic 100% cotton, 6.5 oz. long sleeve denim shirt is perfect for your Safety Teams! button through sleeve plackets,adjustable cuffsback pleat. Fabric is stonewashed to enhance comfort, softness and the unique appearance of each garment. Price includes embroidered logo also.